Attempts to break through the resistance at $3,900 succeeded but there was difficulty holding around $4,000. There were attempts to break through this range and examine the resistance around $4,200. Strong support for BTC price lies around $3,700. Against the dollar resistance around $140 is being tested and attempts to break through the past few days have failed to support this range around $130. Against Bitcoin was a relatively stable week. Support around 0.034BTC, and resistance at 0.036BTC. This week, support was based on it, with few attempts to break through. Against the dollar stabilizing around $30, holds in the meantime. Resistance in this range at $0.32, which is the range of resistance since January. If resistance breaks out, we can point to a change in trend. Meanwhile, the market plays on a range of $0.28- $0.32. Against Bitcoin, the support around the 800SAT does not hold, and that’s not a good sign. Technically the price starts to dwindle below support and from there the next 7,000SAT levels — resistance in this range at 8,100SAT. Against the dollar, the sharp correction since December has brought panic into the market until it reached support in the $1 trading volume and is starting to awaken attempts to break up to $1.8 has failed. Support for this range is around $1.4 resistance and $1.6. Against Bitcoin, an increase in trading volume has also had an effect and a trend change since early February. Support is being built around 0.00035BTC, resistance in this range at 0.00039BTC. Against the dollar, support holds around 80 cents resistance in $1 similar to most of the market here. There was a sharp correction from a peak of $24 in 2018 to a low of 50 cents this year and still trading not far from there. 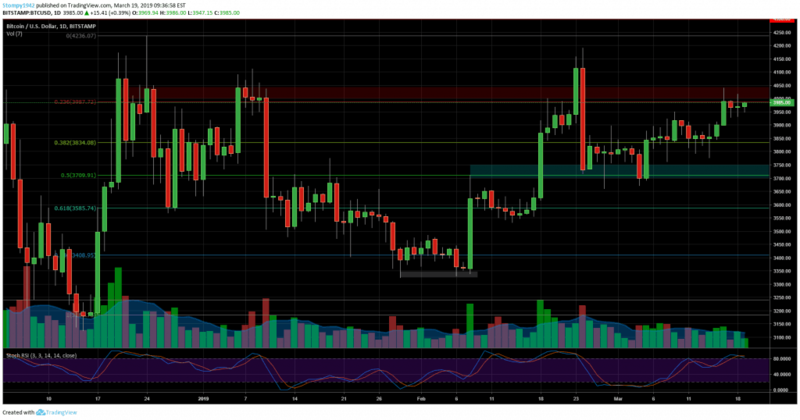 Against Bitcoin started the positive year with subsequent increases in correction and a drop in trading volume, the support is based around 0.0002BTC resistance in this range at 0.00025BTC.